Political Courier Media: It's Over. 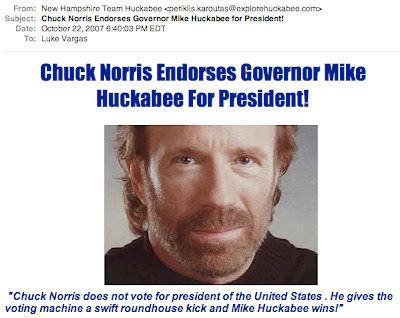 Chuck Norris endorsed Mike Huckabee today, end of story. 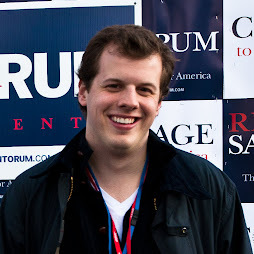 Giuliani, Romney, and Thompson better start watching out for Huckabee too--this guy is no benchwarmer anymore.